The holiday season is underway in the Bangor area and many families are in search of new and festive ways to celebrate the holiday season. Armed with this quick guide to some favorite 2018 Christmas events and activities in Bangor, ME, you cannot go wrong. Load your family in your 2018 Toyota RAV4 this holiday season and enjoy time spent with friends and family! Support local children who are less fortunate this holiday season and take part in the Downeast Toyota Toy Drive for DHHS. Visit the dealership this month and donate toys that will go to the DHHS Gift Program as we try to fill up a 2019 Toyota Tacoma with holiday gifts. Participants will receive a $5 Tim Horton’s Gift Card and will be entered to win a full-vehicle detail package. WHEN: Thursday, December 13 at 7:30 p.m.
Festive acrobatics, holiday-themed performances, live holiday music and much more make Cirque Dreams Holidaze a must-see show this holiday season. Tickets to this incredible Broadway show go on sale on Friday, December 7 and will provide you with the chance to see more than 20 world-class acts with 300 brilliant costumes in a holiday-inspired show. Look no further than Cirque Dreams Holidaze for festive family fun this season! Enjoy festive holiday humor this year when you go see The Santaland Diaries at the Bangor Opera House. A one-man show written by comedic author David Sedaris, The Santaland Diaries allows you to follow in the footsteps of Crumpet – a disgruntled and hilarious department store elf – as he endures holiday hijinks that we have all become familiar with. This holiday event is for mature audiences. Take a holiday tour of the Black House at the Woodlawn Museum, Gardens and Park to see the festive decorations and learn about the history of Christmas at Woodlawn. Christmas at Woodlawn tours are available December 1 to December 23. Upgrade your holiday cheer in the Bangor area this season and take part in Holiday High Tea at Black House that will include catered treats and festive decorations. What are your plans for the holiday season in the Bangor area? Are you looking for things to do this Christmas? 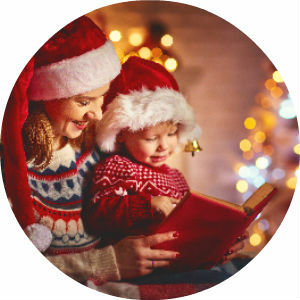 Take a look at a few of our favorite 2018 Christmas events and activities in Bangor, ME with this quick holiday guide. Visit the Downeast Toyota inventory today to find a Toyota-brand car, truck or crossover that will fit your lifestyle this holiday season! This entry was posted on Thursday, December 6th, 2018 at 3:32 pm	and is filed under Community Information, Just for Fun. You can follow any responses to this entry through the RSS 2.0 feed. You can skip to the end and leave a response. Pinging is currently not allowed.